On May 24, 2017, I traveled by car to Winchester, Massachusetts, where the world famous Russian émigré sociologist and social philosopher Pitirim A. Sorokin, one of my heroes, lived. Sorokin, his wife Elena P. Sorokin, and their two sons resided at 8 Cliff Street in Winchester. (Sorokin died in 1968. One of his sons still occupies the same residence.) I was interested not only to see the residence of a world renowned scholar and writer, but also to see the house because it was famous for its grounds: a garden developed and maintained by Sorokin himself, for which he had won awards from horticultural societies and of which he was proud. 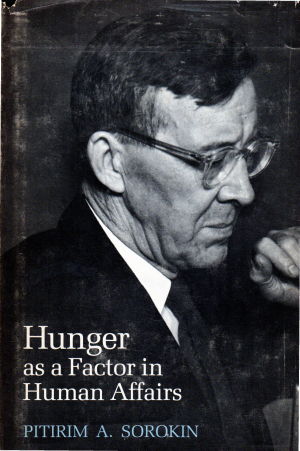 Posted here (above) as a downloadable PDF file is an article based on an extremely informative and revealing interview — the article is notable for its accuracy — with Russian American sociologist and social philosopher Pitirim A. Sorokin (1889-1968). The attached Word document (above) contains an inventory of books by and about the Russian-American sociologist and social philosopher Pitirim A. Sorokin (1889-1968) in my personal home library. Posted here (above) as a downloadable PDF file is an article by the Russian-American sociologist and social philosopher Pitirim A. Sorokin. The article was written shortly after Sorokin was banished from Russia and exiled by the Bolshevik regime.